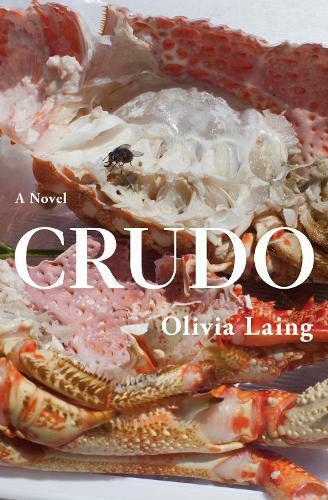 Crudo, an Italian word for raw, used most often when describing fish, is the title of the debut novel from nonfiction writer Olivia Laing. The narrator might be Kathy Acker iconoclast punk author – she says that she is. However, Kathy Acker died in 1997 and this Kathy is definitely living in the northern hemisphere summer of 2017 when it seemed to many in the West that the world was starting to gather speed towards its own destruction. Kathy is also living and grappling with what one should be doing as the world is ending. This avant-garde, stream-of-consciousness novel is an engrossing journey through the interiority of Kathy and the exteriority of a turbulent northern-hemisphere summer. As the real Kathy Acker championed the use of existing art, so does Olivia Laing have the Kathy of Crudo draw from many past avant-garde artists who chronicled the coming of Fascism. In one powerful scene Laing brings to culmination all Kathy’s musing on young alt-right Nazis with a clear statement of Kathy’s affinity with Christopher Isherwood’s Christopher and His Kind, the author’s memoir of his decade in the queer, avant-garde Berlin arts scene that flowered as Fascism rose. The award-winning and critically acclaimed author of Outline and Transit, completes the transcendent literary trilogy with Kudos. A blisteringly funny and remarkably tender debut novel from Olivia Laing, one of the finest non-fiction writers of her generation. In Our Mad and Furious City follows three young men on a London council estate over 48 hours when suddenly everything is at stake. The powerful new collection from award-winning poet Robin Robertson follows a demobbed soldier as he goes in search of freedom and repair in post-war America. The 18th novel from the distinguished novelist, short story writer, critic and playwright. A short, intense mystery novel that begins in gentle elegy and ends in diabolism and murder.